In response to this coming weekend’s impending Carmageddon II, a growing alliance of LA-based artists and arts organizations have united with community leaders to create ARTmageddon, a two-day citywide celebration of the prolific and inspiring art happening all over Los Angeles on Saturday, September 29 and Sunday, September 30, 2012. 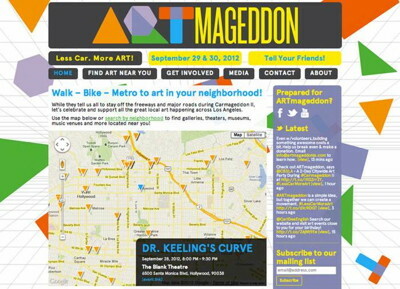 ARTmageddon centers on a simple idea… Encourage all of Los Angeles to walk, bike and Metro to art in their neighborhoods! In order to offer Los Angeles residents a user-friendly resource where they can discover all the great events happening on September 29th & 30th, the team behind ARTmageddon created their own website for the event. 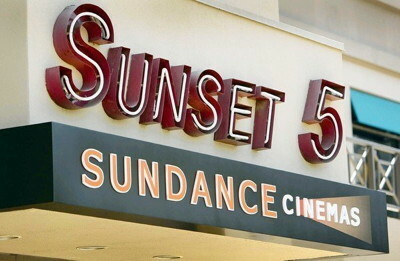 This brand new website features comprehensive listings for arts and cultural happenings in neighborhoods across Los Angeles County and beyond. Dynamic maps allow visitors to check out what’s going on at major institutions or dig deeper to discover hidden gems located just around the corner. Many galleries are staying open late, theater companies are offering half-price discounts, dance companies are creating installations in parks, and much more. 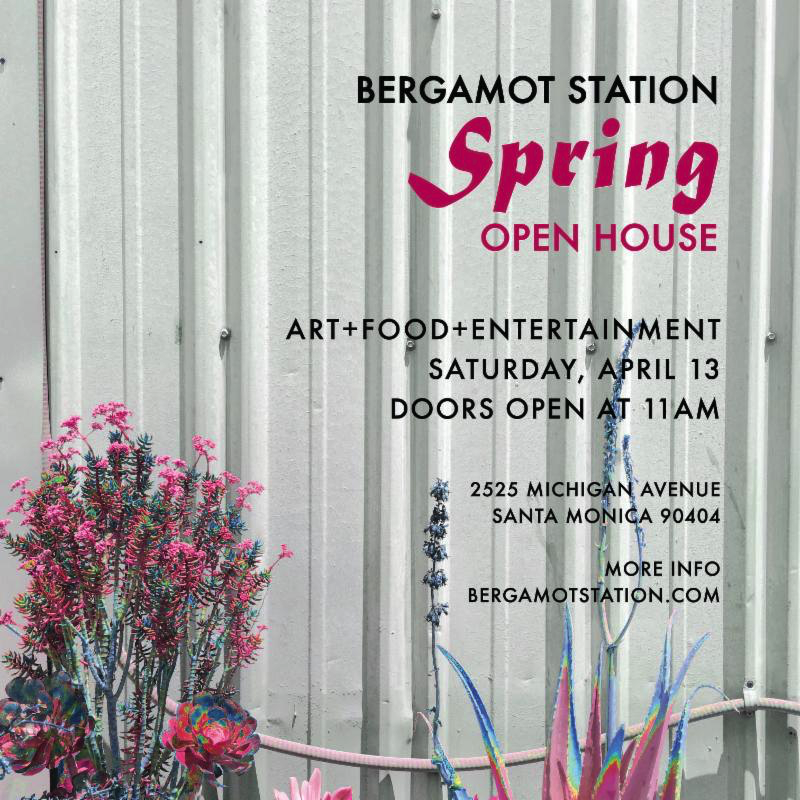 The excitement in the arts community to present this wealth of entertainment during ARTmageddon weekend is palpable and offers a testament to Los Angeles as a vital arts capital. ARTmageddon was created by artists Diana Wyenn (Beyond the Usual) and Ezra LeBank (Curbside), in collaboration with a team of volunteers made up of LA-based artists and arts marketing professionals, in partnership with Metro, Department of Cultural Affairs, LA Stage Alliance, ForYourArt, Green Galactic, and Experience LA, in association with a growing alliance of community partners. Support for ARTmageddon has come in from individual arts patrons and the Los Angeles Downtown Arts District (LADAD). For a full list, visit the official site.